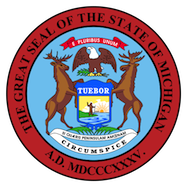 Those who have moved out of state, but who had their Michigan Driver’s License Revoked due to multiple DUI’s discover soon enough that they cannot obtain a Driver’s License in their new state until they “clear up” the outstanding Michigan Revocation. In the past, some people were able to get a License in another state at first, but then learned, at the time they tried to renew it, that the Michigan “hold” prevents them from doing so. I can fix that, Guaranteed. I will always remember you for helping me on this journey. If you didn’t get the notification letter , we won back my driving privileges. I know you were confident but I wasn’t gonna believe until I saw it. I will always be grateful. So what’s the next step? Hopefully I can do this from Arkansas. Again, thank you so much , you are my heroes. When they are turned away from the DMV (the equivalent of Michigan’s Secretary of State) in their new state, many of these unhappy campers return home to their computers and immediately begin trying to find out what to do. Some of the people that call me want to do it right the first time, and get back on the road, while others have tried it on their own, lost and have found me either through the Driver’s License Restoration articles on this blog, or on my website. While the process for obtaining a “Clearance” is same as that for a Michigan resident trying to have his or her Driver’s License Restored, the result is rather different. A Michigan resident will have his or her Michigan Driver’s License Restored, and will be awarded a Restricted License. Someone who no longer lives here will be granted a “Clearance” which undoes the Michigan Revocation, or “hold,” meaning that they can thereafter obtain a full License in their new state. I explain the Clearance process in detail both in the “out of state” License Appeal section of my blog, and in the several “Clearance” sections of my website. For all of the talk, however, I put my money where my mouth is and Guarantee that I will win any License Appeal or Clearance case I accept. I win nearly 98% of the cases I accept. Part of that success, and the reason I can offer a first-time win Guarantee is that I only take cases when a person has really quit drinking. Sobriety is, and always has been, a necessary and first requirement to win a Michigan Driver’s License Restoration or Clearance case. As I explain in my various blog articles, I have a very set procedure for representing out-of-state Clients. While I am in business to make money, I don’t do so at the expense of doing things the right way. There are no shortcuts to winning a License Appeal. As a result, a Client will come to meet with me for a first, 3 hour appointment to begin the License Appeal process, and BEFORE they ever have their Substance Abuse Evaluation completed. A person needs to be properly and well prepared for the Evaluation, and I don’t spend 3 hours or more with someone talking baseball. During that first appointment, I will fill out a “Substance Abuse Evaluation Checklist” covering every relevant detail of the person’s case, and provide them with a copy to give to the Evaluator so that nothing important is left out of the final product. License Appeal cases are all about details, and watching out for “a million little rules,” and, like so many things, are won (or lost) in the preparation. Over the years, I have been asked if I would handle a case “remotely,” or otherwise participate in an “Administrative Review,” which is a License Appeal without the Hearing, and have been offered my full Fee of $3600 for this abbreviated method of seeking a Clearance. This would, of course, be far less work for me, but I do not and will not do that. Each year, about 75% of all Administrative Reviews are Denied by the Secretary of State. I strongly believe in in-person, live Hearings. I have all of my Hearings heard in the Livonia Office of the DAAD, where I appear regularly before the same 5 Hearing Officers. I know each of them very well, having appeared before them countless times, and know what is important to them, and of equal significance, what is not. Each of the 5 is different. When the time for the Hearing draws near, I prepare my Client not only for the Hearing in general, but also for a Hearing before the specific Hearing Officer to whom the case has been assigned. You simply don’t accumulate a winning record like I have without knowing every nuance of this process and the people involved in it. To make this more convenient for an out-of-state Client, my Office will typically arrange to have the new Client come in to see me the same day that they have scheduled their Substance Abuse Evaluation at the Clinic I use, which is located just a few blocks from my Office. I prefer this Clinic because they do a wonderful job on these Evaluations, and because the State knows that they have an unimpeachable degree of integrity, and will never, ever “enhance” an Evaluation or do anything but give an honest, clinically sound assessment of the person. This underscores why I spend 3 hours with a new Client preparing them to undergo this Evaluation. Occasionally, a Client might want to spend more than a day back in Michigan, visiting with family and/or friends, and in those cases, they can schedule their appointment with me a day or so before they go and have the Evaluation completed. Once the Evaluation has been completed, the Client can return home. Whether by email, or fax, we can then begin the process of putting together their Letters of Support. We’ll spend a lot of time on this. I will substantially correct, edit and revise the Letters. Once the Evaluation has been completed, my Senior Assistant, Ann and I will each review it separately. The Substance Abuse Evaluation needs to be both legally adequate (or, in the language of the DAAD, “sufficient”), and favorable. If it falls short on either score, the Appeal must be Denied. By using my local Clinic, I can obviate concerns about the legal adequacy or sufficiency of the Evaluation. Beyond just being “sufficient,” however, the Evaluation must also be helpful, and must contain a factually supported, favorable Clinical Prognosis. When the Letters of Support have been corrected and double-checked, and after my Assistant and I have reviewed the Substance Abuse Evaluation and given it the green light, we’ll file them along with whatever additional evidence I decide to submit as part of a Request for Hearing to be held live, in Livonia.